The granddaddy of email scams, Phishing emails are a wide-net approach to email-based attacks. Much like its recreational counterpart, ‘Phishing’ is the email equivalent of using bait to catch fish. The bait in this case is the poorly worded email sent by the thousands to the unsuspecting public, and the fish are the unfortunate few who follow the instructions contained therein and wind-up giving out credit card details, passwords, or bypassing security protocols and catching a virus. Spear-phishing is the next level within Phishing attacks, and is much the same in practice, however rather than a scatter gun approach, these are targeted towards specific groups – for example staff or clients of a specific company. Whaling follows on from the idea of spear-phishing with the ideal outcome being the acquisition of sensitive information through deceptive emails, however the key difference is that the targets are even more carefully selected, they are often senior-level employees and the ideal outcome is one big steal – these are our “Whales”. Why focus on the higher-ups within a business? Simple – the payoff is far higher should the outcome be successful. And it’s because of these high-value targets that attackers are willing to invest more time and effort into making these communications appear legitimate. An executive in an organisation is targeted with a message that convinces them to take an action or give up a vital piece of information – perhaps downloading a keylogger, bypassing the organisation’s controls over security or, if the attacker is really bold and ready to roll the dice on losing the opportunity, going straight for the user’s password. 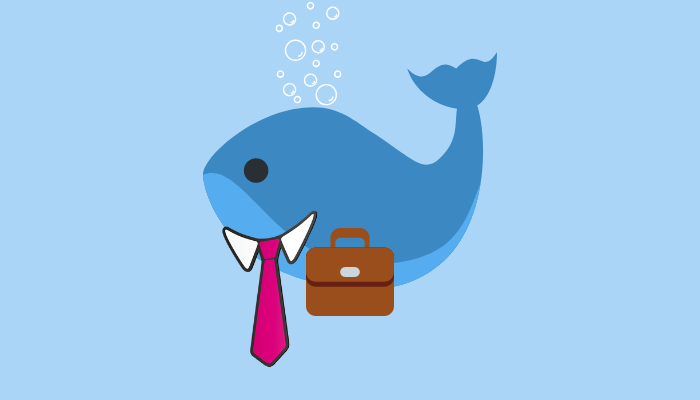 If the attacker can gain access to the whale’s mailbox, they can silently observe the interactions between the executive and the rest of the team and determine if the executive has the ability to sign-off on invoices, and who issues those invoices. If they do, the attacker just needs to wait for the right moment. That moment is typically a moment of travel for the executive when he or she will be remote from the office. The attacker creates a false invoice from a trusted entity using the exact format of the legitimate invoice and emails the accounts payable staff or financial controller, pretending to be the unavailable executive. The accounts staff are instructed to make a payment quickly and advised to note the changed bank details and they are further advised that they can’t phone the executive because he or she is on a plane for X hours, or sleeping or otherwise unavailable. The attacker uses a sense of urgency to pressure the accounts staff to make the transaction quickly. A whaling attack is very much a hack against a human, rather than against a computer. That’s why it’s so hard to prevent. Educating staff with financial responsibility on best practice techniques. Teach them what these emails can look like, what they’ll request, and what potential red flags to be on the lookout for – mitigate the human error factor through education. Have private profiles on social media. Any information that is readily available can be used as part of a whaling attack – if you’re going to post about your next Ibiza vacation with the crew, be aware that people can and will use your movements to time their attack. Any and all personal information that’s readily available to the public is a potential jewel for a malicious actor. Utilise multi-factor authentication for email accounts – ramp-up security to cover all your bases. That way, even if a password is compromised, the attacker would also have to have the authenticating token to gain access to your email account. While Whaling is an insidious cyber threat, it can be mitigated by combining the continuous education of staff with robust technical solutions. To discuss how to best protect your business, contact us here at Computer One Pty Ltd.